A Free Seminar on Vastu Energy Management ~ The Toronto Hare Krishna Temple! In today's times with the massive urbanization, growth in population and nuclear families – single-family units, condominiums & high-rise apartments have become very popular. For the architects and builders the challenge is to ensure that these projects are commercially viable while optimizing utilization of space, meeting various government regulations and city/state building codes. If along with all that, Vastu Energy Management is also addressed the occupants will be able to enjoy the best of space utilization and high positive energy in their dwellings resulting in better health, wealth and harmony. 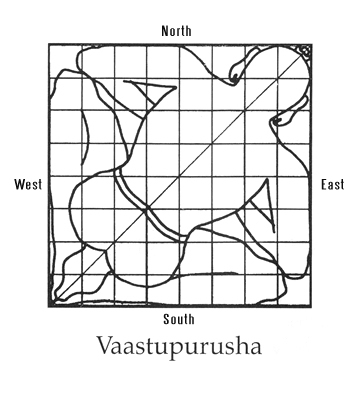 Vastu Shastra is an environmental and architectural science, which is over five thousand years old. 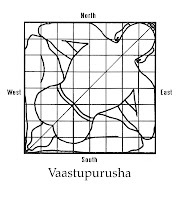 Vastu is derived from the Sanskrit word ‘vasati’ which means dwelling. It can be any type of space where human beings spend time. Vastu helps in proper orientation of buildings to create positive energy. Vastu Expert Mr. Abhinav Mehta is visiting Toronto and will be hosting a free seminar at Toronto's Hare Krishna temple on Saturday, June 25th at 4:00 PM. The seminar will be followed by Dinner at Govinda’s. It’s a wonderful opportunity for those who either owns a property or plans to own one. Abhinav Mehta is a successful professional with over 25 years of management experience in the fields of Engineering, Agriculture, Precious stones & Jewelry, etc. He has been helping people with a common sense approach & simple solutions to "Live in Bliss" by resolving their inner & outer conflicts. Bliss Solutions, Inc. was launched to create awareness about the different aspects of the Vedic culture namely Vastu Energy Management, Yoga, Astrology, & Ayurveda to experience bliss, harmony and wellbeing in our everyday lives.